Hello! 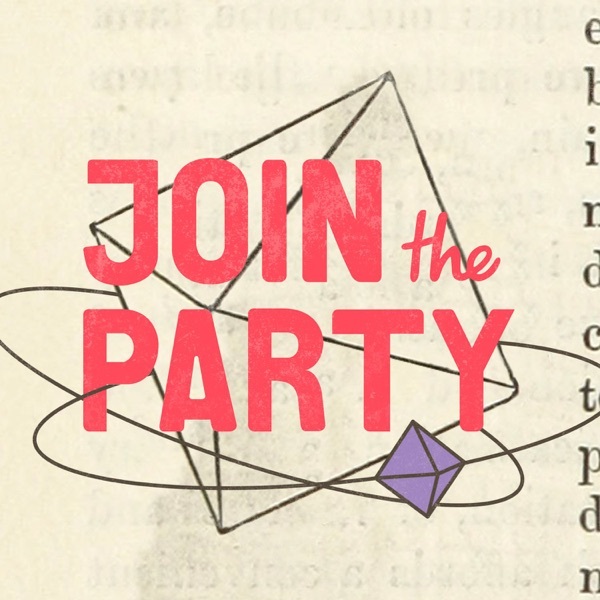 This is Rules of the House Party for Episode Two, our tool tips guide to D&D. As you listen to this episode, you'll hear Amanda pop in everyone once in awhile to explain what's going on. But don't worry, you're getting the same story as Episode Two. Enjoy! /// The wedding continues and no one has died…yet. Can they keep Alonzo and Greg safe for the entire wedding? Will it be happy ever after after all? Tracey looks for bread. Johnny goes to the bar. Inara gives everyone a hand. Find Us Online - website: jointhepartypod.com - patreon: patreon.com/jointhepartypod - twitter: twitter.com/jointhepartypod - facebook: facebook.com/jointhepartypod - instagram: instagram.com/jointhepartypod - tumblr: jointhepartypod.tumblr.com - music: brandongrugle.bandcamp.com Cast & Crew - Dungeon Master: Eric Silver - TR8c (Tracey): Brandon Grugle - Inara Harthorn: Amanda McLoughlin - Johnny B. Goodlight: Michael Fische - Creative Contributors: Connor McLoughlin, Julia Schifini, Heddy Hunt - Multitude: multitude.productions About Us Join the Party is a collaborative storytelling and roleplaying podcast. That means a group of friends create a story together, chapter by chapter, that everyone from seasoned players to true beginners can enjoy. Where else can you get adventure, intrigue, magic, drama, and lots of high fives all in one place? Right here. After each episode we sit down for the Afterparty, where we break down our game and answer your questions about how to play Dungeons & Dragons and other roleplaying games at home. We also have the Punchbowl, an interview series with people pushing D&D forward creatively, communally and socially. It’s a party, and you’re invited! Find out more at jointhepartypod.com.